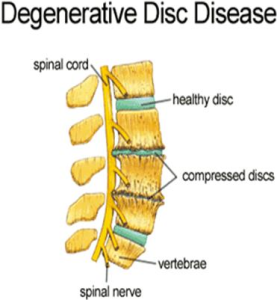 Degenerative disc disease is unfortunately one of the most common conditions that affect the lower back, resulting in chronic pain and debilitation in the most severe cases. People between the ages of thirty and fifty years old are among the leaders in developing this condition, at a rate of 30% in the population group. Of this percentage, many do not know they have the disease because they do not experience painful symptoms associated with it. The condition is often poorly misunderstood because it is degenerative in nature and cannot be attributed to one single cause. If left untreated the condition worsens and symptoms increase over time. 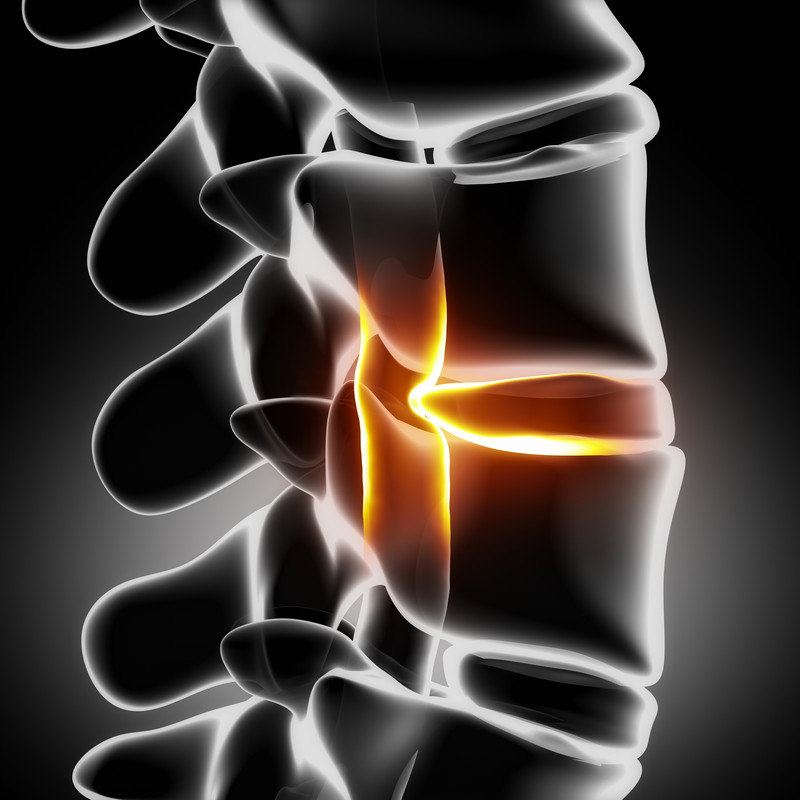 Aging and wear-and-tear are among the causes of degenerative disc disease. Wear and tear is just another of indicating the overall impact of aging and daily activities that affect the spine. Disc degeneration begins by the disc losing fluid. 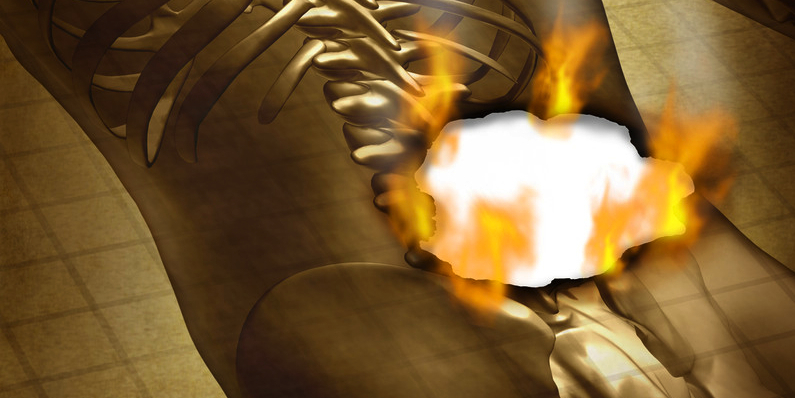 The normal and healthy disc contains about 80% water and the remainder is made up of protein and other substances. As a person ages, the disc loses some of the fluid level. Some people are predisposed to losing disc fluid as they age because of hereditary factors, even those without experiencing any injury or trauma. 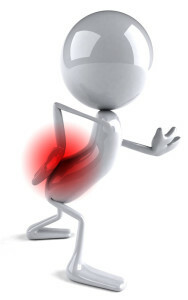 Pain is among the most common symptom, however the degree of pain may vary from patient to patient. There are cases of early onset of degenerative disc disease that results in no pain or discomfort, in fact, the patient may not even be aware that they have the disease. 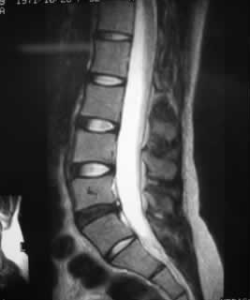 When there is enough wear and tear on the disc there is the possibility that the surrounding nerve roots may become pinched. The pinched nerves result in radiating pain that travels down the back of the leg. The pain may worsen after a person sits or is on their feet for prolonged periods of time. Bending and twisting movements may also contribute to increased pain and discomfort. Degenerative disc disease may be difficult to diagnose because the condition gradually develops over time and can cause a variety of additional health problems such as stenosis or herniated disc and bulges. Your doctor may be able to identify the disc herniation immediately without regard to the degenerative disc disease, so it is important to have an expert in degenerative disc medicine evaluate the condition. Your specialist will collect a complete medical history, including an assessment of what activities you are able to do or not do. Anything that worsens the pain, from sitting or walking, should be discussed. Both physical and neurological testing may be conducted. During the physical examination your spine will be felt for any noticeable bulges or alignment issues. In most cases, further study is needed through x-rays, CT scan or MRI. A neurological examination may also be conducted so that the doctor can assess nerve changes, reflexes, muscle strength and other factors. Flexion and extension x-rays may need to be ordered for further assessment and examination. Bone scans and myelograms may also need to be conducted. Approximately 80% of patients who undergo some form of treatment have symptoms resolved within six months. When conservative treatment fails, steroid injections may be recommended as a means of pain relief. According to the Spine Journal, research is ongoing on the short and long term benefits of injections for degenerative disc disease. Short term relief has been noted, but long term benefits are still being addressed. If you are suffering from low back pain and suspect a degenerative disc problem, let Fort Myers pain management help you. Simply fill out the form on the page or call (239) 288-0072 for assistance today!